I was worried about bed bugs after moving into a new house. I bought a bed cover for peace of mind and haven’t been worried about bed bugs since! The cover is really easy too put on and is great quality and a really reasonable price. 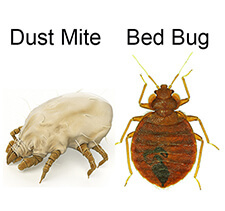 I have since recommended the products to friends who have had troubles with bed bugs and they have had similar experiences. The team are also really helpful to chat to and don’t try to sell you more products than you need.